When my friend asked me if I wanted to review Beautycounter’s latest product line, I was more than happy to oblige. I really believe in Beautycounter’s mission and I love that their products are all natural and healthy for you. If you haven’t read up on Beautycounter check you can do so here. 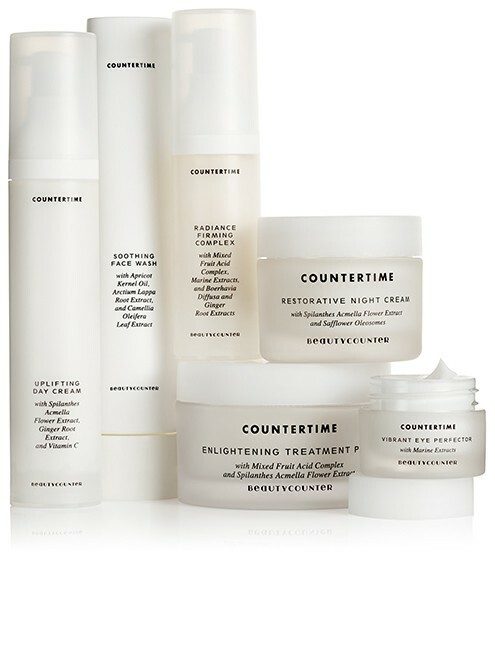 Beautycounter’s newest line, Countertime is an anti-aging line consisting of a face wash, enlightening treatment pads, radiance firming complex, uplifting day cream, nourishing cleansing balm, restorative night cream and vibrant eye perfector. This line was developed because so many of the traditional anti-aging products out there contain retinyl. Retinyl produces free radicals that can damage DNA. If you would like to read more about the risks of retinyl go here. I have been using anti-aging products since my 20s. Weird, I know, but you have to treat wrinkles before they start. Once you have wrinkles there isn’t much you can do besides plastic surgery. I was excited to try these products and see how they hold up. The soothing face wash contains tons of natural ingredients, I won’t list them but you click the header to read them. 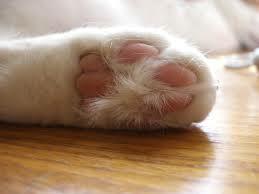 A tiny pea size amount of this goes a long way. The face wash smells great and really gets your face feeling clean. I used this every morning. It was extremely gentle on my rosacea face. This is a product I would definitely buy. I didn’t like these at all. They felt too much like those oxy pads (without the harsh ingredients of course) and were scratchy on my face. Beautycounter states that 73% of women that used this experienced a significant decrease in pore count. I only used these once since I didn’t like them. This firming serum combats wrinkles and discoloration. I used it but don’t think I noticed much of a difference. In Beautycounter’s study, women did see differences but that was after using it for 4 weeks. I don’t think I would pay for this product but it was very gentle on my face and didn’t irritate me. This day cream reportedly promotes firmer skin and less redness. I really liked this cream. I would have prefered my day cream to have SPF in it. The day cream didn’t leave me feeling greasy as some do. I didn’t notice less redness but again, I only tried these out for a week. This balm is like butter. It melts into your skin smells so good and makes your skin so soft. I heard of women using it on their feet to make them softer and also some women slept with the balm on instead of rinsing it right off. I thought this stuff was great. In the study Beautycounter conducted 100% of women noticed an increase in skin hydration that’s no surprise to me because this stuff is so thick. The night cream is thick but doesn’t go on thick, I know that doesn’t make sense, but it almost thins out on your face. I liked it ok but didn’t think it made much of a difference. I think I would have preferred to keep the cleansing balm on all night instead of using this night cream. I am in love with this! I have really bad dark circles (hereditary) and this lightened them almost immediately. I was so excited! I have used millions of different eye creams and none have worked like Beautycounter’s. If you are desperate for a great under eye cream this is it! So all in all I really liked this line. I believe in Beautycounter products, think they are wonderful and love how the products smell. My only issue with Beautycounter is their prices. I understand that the time, testing and ingredients are a factor in their price but I think that many women cannot afford these products. I really was excited about the eye cream, but then when I saw the price I was disappointed. I do not want to spend that much money on an eye cream. I really do love the products, but if they lowered their prices $15-20 I think they would open themselves up to a much bigger demographic. If you are looking for products that are all-natural, safe and good for sensitive skin this line is for you! These products are top-notch and really live up to their claims. If you are interested in purchasing them or have any questions related to their products click here.